If you think Ben 10 bike adventure game is a typical bike riding game, you are wrong. In this game, Gwen is kidnapped and Ben 10 along with his Omnitrix device needs to rescue his friend from aliens. Do you love riding bikes? 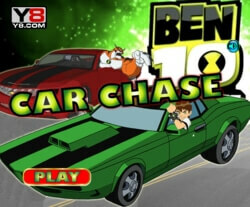 Then Ben 10 offers its players a lot of fun with its new Ben 10 bike adventure game. 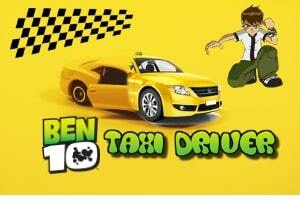 Ben 10 is famous among kids because of his bravery and adventurous character. He is fearless and owns ability to fight against all types of aliens and monsters. 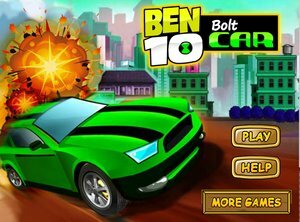 Ben 10 games are amazing and his new bike adventure trip will help your kid to learn problem-solving and improve concentration. 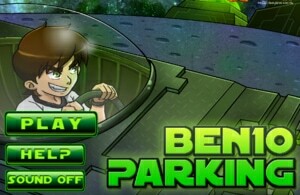 Guide Ben 10 through his trip and let him overcome obstacles in each level. Do not forget to score high in the game. Ben is straddled with his bike and needs to catch kidnappers to rescue his friend. The player needs to destroy enemy aliens or monsters that will come across the road and try to bump the bike. It is necessary that superhero Ben 10 reaches his goal as soon as possible. Make sure to stay alive during all levels to catch the criminals and rescue Gwen. The score will keep on increasing as the player proceeds in-game and collects items like coins. Ben 10 Bike adventure game requires Arrow keys to play. 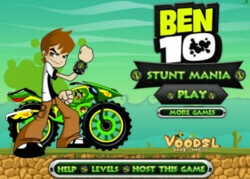 Help the superhero Ben 10 to ride his bike and make him balance it appropriately use arrow keys to assist him to overcome obstacles and pass through different jumps. It is important to balance the bike through 10 levels. Arrow up will let the bike move forward, down arrow will move bike back, while right and left arrow will keep the bike balanced. 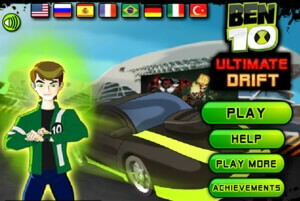 Get ready to accelerate Ben 10 bike and give the best score!